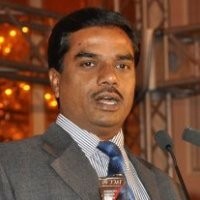 Gopi Babu is the Executive Director of Pentair Middle East FZE. Gopi has over 25 years of experience and is a highly regarded technician with analytical skills that have given him the ability to perform at an outstanding level , even under the most complex of business conditions. During his tenure with Pentair, Gopi improved the speed and quality in new product development and all aspects of financial management, while successfully implementing transformation, manufacturing operations and providing strategic leadership across diverse industries. He is a qualified Fellow Chartered Accountant (FCA) with an MBA in HR and Operations Management from IIMS, Bangalore. He possess a strong accounting background and extensive knowledge of auditing procedures. Gopi has recruited and developed specialist teams to support the strategic vision of the company. He is directly responsible for leading the financial and key strategic operations while providing vast leadership to the company and successfully driving the financials. For the bulk of his career, Gopi has been known for his extensive track record in increasing profitability, managing transitions and directing project plans towards success. His great work ethic has further enhanced his ability to provide strategic direction and cutting edge business plans which have resulted in profit leading improvement of processes pertaining to financial and risk management, HR and IT.